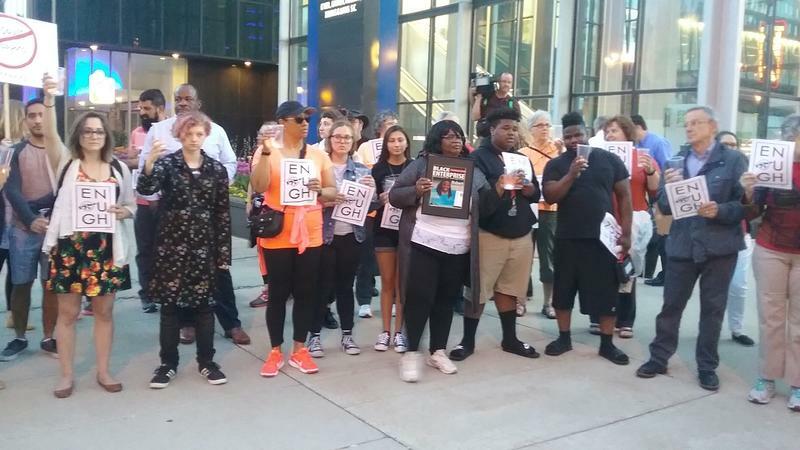 Several dozen people gathered in downtown Milwaukee Thursday night to say "enough is enough" to gun violence and mass shootings in schools across the country. The demonstrators called for changes in the law, both at the state and federal levels. WUWM"s Marti Mikkelson collected comments from teachers and others at the event. Among those who spoke include Mitch Pincus of Fox Point, Kathy Sincere of Brookfield, along with a woman name Elena, Dean Muller and Del Harris -- all of Milwaukee. Students Chant 'Not One More' At 'March For Our Lives' In D.C.
On March 24, 2018, people across the country marched for tighter gun regulation at "March For Our Lives" events. In Washington, D.C. an estimated 800,000 people gathered. This was all organized by students of Marjory Stoneman Douglas High School after they experienced a school shooting in February that left 17 people dead. 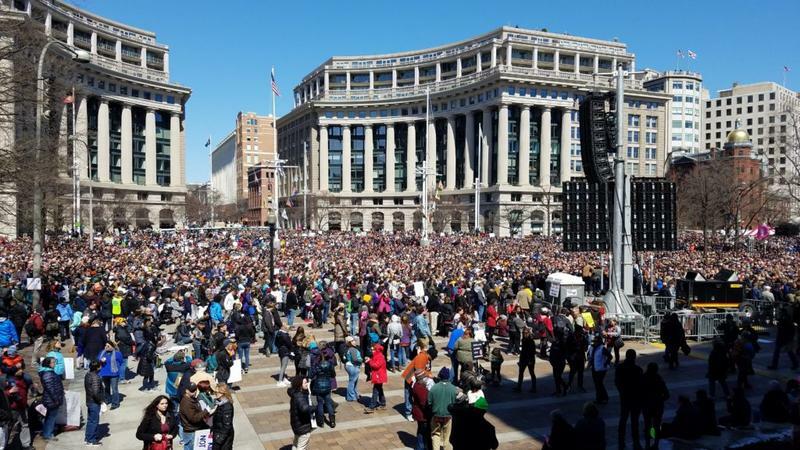 The air filled with chanting of "vote them out," "we've had enough," and "not one more" as the crowd took over Pennsylvania Avenue in D.C. The group included people of different backgrounds and ages, and with different reasons to march. A week after the national school walkout, some Wisconsin students went the extra mile, or this case - 50 miles, to protest gun violence. The students wrapped up a four-day, 50-mile march from Madison to Janesville Wednesday, following last weekend's nationwide March For Our Lives rallies. And the organizers say their work isn't done, even if the march is. 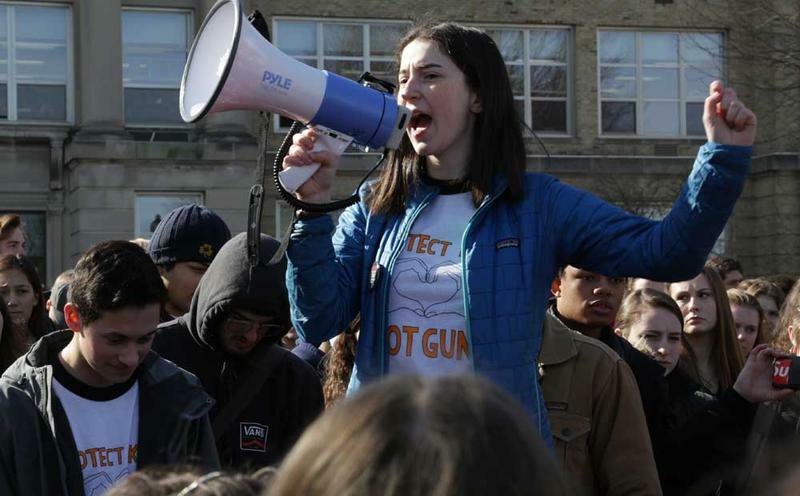 Katie Eder says gun violence isn't a political issue; but rather, students are literally fighting for their lives. Milwaukee area youth and others pushing for tougher gun laws participated in a local March For Our Lives event on Saturday morning. The city was one of many participating in the demonstrations. Hundreds gathered in front of the Milwaukee County Courthouse for the rally, which included speeches from young people.